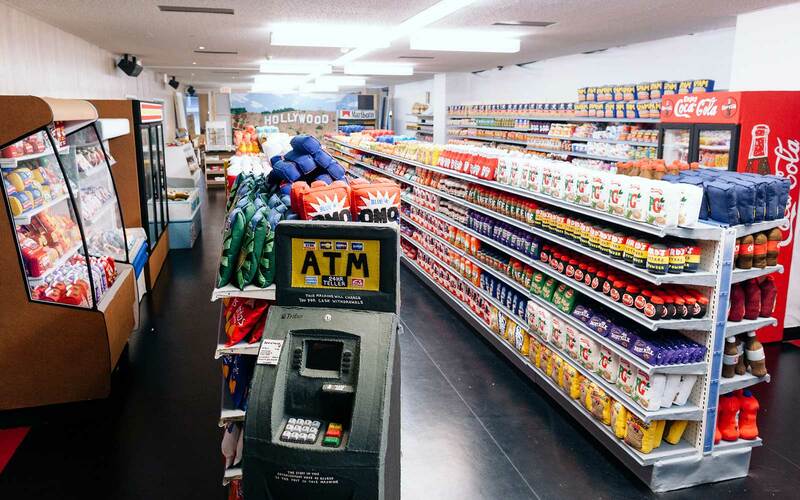 A California hotel has opened its very own grocery store — only it sells no actual food. 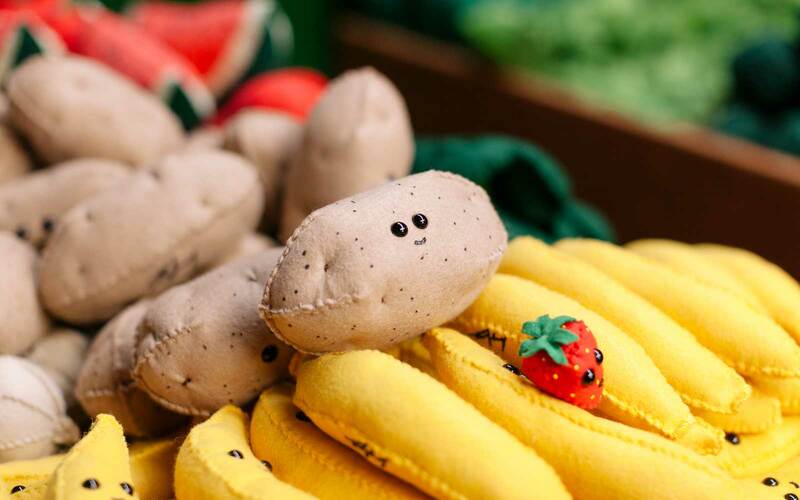 The potato chips, Butterfinger bars and ramen packets inside Sparrow Mart at The Standard, Downtown LA may look real, but they’re all handmade from felt. It’s all the brainchild of Lucy Sparrow, a British artist who has excelled at the hyper-specific medium. Sparrow has done similar installations with 2014’s The Cornershop in London and 2017’s 8 ‘Till Late bodega in New York City, but while the others topped out at 4,000 and 9,000 items, Los Angeles’ marketplace has nearly four times as many squishable goods. The entirety of Sparrow Mart’s functional equipment — grocery case, deep freezers, even the ATM — are covered in felt too; add branded shopping carts and grocery baskets to the mix and it’s the full experience, just lacking any nutritional value. Prices vary, with trays of $10-a-pop sushi pieces, $35 candy bars, and $65 bottles of gin and whiskey among the wide range of goods for sale. There’s also a gallery in back with limited edition and one-off pieces, including American and British Flags crafted from felted food. The handmade goods, which include American favorites like Ben & Jerry’s ice cream, Kraft macaroni & cheese and It’s-It bars, are a feat for any artist, but especially a foreign one. Sparrow visited Los Angeles last year and photographed as many supermarket shelves as she could for research, transposing the items into felt while replicating the lot back in the U.K.
All the more reason to rush over to The Standard before everybody else does.